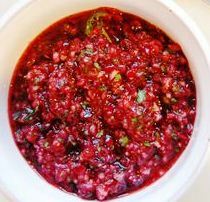 Little tip: You can use this sauce to make a sweet and sour dip or baste pork or poultry with it. Just microwave the sauce, stir in little lemon juice and Dijon mustard to desired taste. Hope you will enjoy this recipe – let me know how it turned out for you, your input is always very welcomed and much appreciated!